Lizzie stammered a response. She and Nick accepted champagne flutes from a passing waiter. “How nice that you could join Christina,” Lizzie said, as she raised her glass to the guests. “The party was their idea, to welcome me back to my family home,” Christina said. Lizzie and Nick excused themselves to admire Christina’s Imari porcelain and Chinese rugs. Fifteen minutes later, Christina announced dinner, and walked with the three men into the dining room, ahead of the other sixteen guests. Lizzie found her place card between Judge Harbison and George Slezak. Seated for a three-course meal, Lizzie scanned her menu. Lobster bisque and beef fillets with mushrooms, followed by apple pie, cheeses and fruit for dessert. 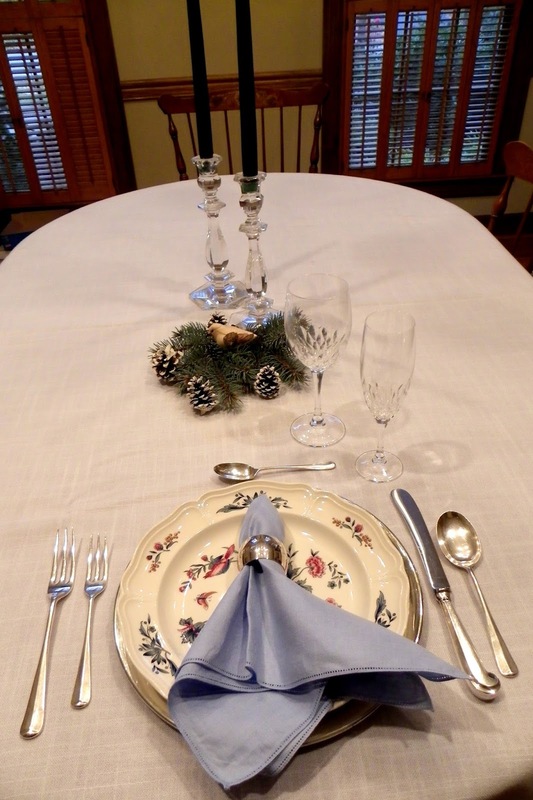 She fingered the heavy Georgian silverware and looked for Nick, who sat near Christina at the head of the table. 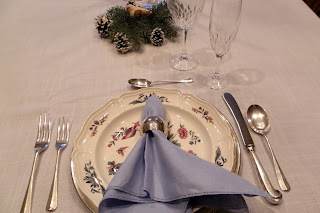 Candles flickered in tall candelabra and small arrangements of white roses and blue spruce lined the center of the heavy white linen tablecloth. Sipping her water, Lizzie remembered something Christina had told her. As a twelve-year-old orphan, Christina had requested permission to live with her grandmother in the Cooper family home. Judge Harbison had ruled that Brendan Reilly, the guardian designated by her parents, would be responsible for her. Under the supervision of the estate executor and trustee, George Slezak, the farmhouse and its contents were sold. Brendan Reilly soon separated Christina from her grandmother and packed her off to boarding school. When she turned eighteen, Christina learned that nothing was left of her parents’ estate. She remained bitter and resentful, suspecting that the three men had appropriated her inheritance. Thirty years later and now a widow, she had purchased her family home, determined to establish a new life for herself. Two waiters served lobster bisque, followed by a third waiter with a platter of raw oysters in their half-shells. Lizzie recoiled when she saw vivid green and red snake tattoos on the waiter’s wrists. Smiling in anticipation, the judge filled his plate with oysters. He squeezed lemon juice over each one before lifting it to his mouth and slurping it down. Lizzie turned to George Slezak, who sat on her left. He, too, enjoyed a plate of oysters, as did Brendan Reilly, seated at the foot of the table. Perplexed, Lizzie wondered why none of the other guests had been offered oysters. Her sinuses throbbing with the onset of a headache, Lizzie stirred her bisque without eating it. Scraping the mushrooms off her beef fillet, she ate a few small bites and picked at the accompanying roasted potatoes, green beans and carrots. The judge ate and drank with gusto, while George Slezak consumed everything on his plate and talked investment opportunities. Lizzie stifled a yawn and waited for dinner to end. Declining apple pie for dessert, Lizzie fingered a bunch of red grapes. Christina raised her glass to toast the new year, and announced that coffee and brandy would be served in the living room. Lizzie dabbed her mouth with her napkin and pushed back her chair. Thirsty, she grabbed her empty glass and worked her way through the milling guests to the kitchen, curious about the catering arrangements. Why had only the three men—the lawyer, guardian, and judge—been offered oysters? Were oysters in short supply or had the three men ordered for themselves? 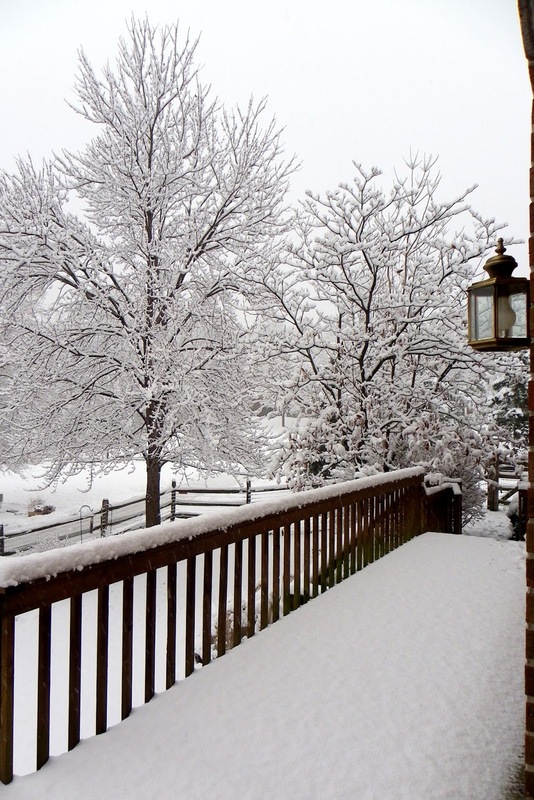 As jazz pianist played in the living room, she slipped through the throng of guests and murmured her apologies. Alarmed, Christina asked if the food had made her ill. Relieved to learn otherwise, she squeezed Lizzie’s hand and wished her well. 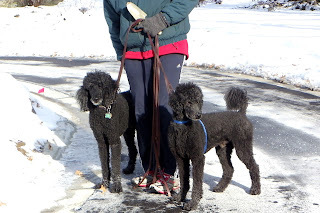 The next morning, Lizzie and Nick took a long walk with their dogs through the college campus. Bare tree branches etched the clear blue sky, and sun glinted on fresh snow. Lizzie took off her dark glasses and stared at her, open-mouthed. Lizzie and Nick headed for home to drop off the dogs. Lizzie left a note for their teens, and assembled sandwiches to take with them. She suspected that they would be with the police for hours. At the station, Lizzie and Nick wrote their statements about the dinner party. Lizzie supplemented hers with everything she could remember about her frequent conversations with Christina, particularly her obsession with untainted food. Lizzie had recommended a reputable food market that sold organic produce and meat. Bethany joined them, carrying a coffee pot and three cups. Lizzie offered her a sandwich. “Who were the victims?” Lizzie asked, sipping her coffee. “The judge mentioned New Year’s Eve parties Christina’s parents used to host, with an oyster bar,” Lizzie said. “Did the judge or the others seem surprised that they were the only ones served oysters?” Bethany asked. “Don’t forget Christina was also served oysters, but declined,” Nick said. “The county crime scene unit is still processing the kitchen,” Bethany said. “That would fit the third victim, who managed to drive back down to the city before he died,” Bethany said. “What did the third waiter wear?” Bethany asked. Bethany jotted down the details. “Did you ask all the party guests these questions?” Lizzie asked. “Lawyered up and not saying a word,” Bethany said. The following week, Bethany dropped by after dinner. “All the cooking was done in the catering company kitchen?” Lizzie asked. “Surely you don’t suspect Christina,” Lizzie said. Bethany promised to keep in touch. During the next week, Lizzie invented excuses to call Christina, who had been told not to leave town. Convinced that the contaminated food had been meant for her, Christina planned to lead a solitary life until the case was solved. While she waited for the butcher to wrap up a pot roast, Lizzie wandered through the vegetable section in search of Yukon Gold potatoes. She stood next to a young man stocking the display bins. He pushed up his sleeves to reveal his tattooed wrists. Lizzie gasped. The third waiter who’d served the oysters. She moved towards the onions. Should she confront him or notify the police? She pulled out her phone and texted Bethany Schmidt that she’d found the third waiter working at a local market. “I just texted the police. They’ll be here any minute.” Lizzie edged away. He lifted a box of purple onions to the top of the cart. “Judge Harbison hired me to serve the oysters to him, his two friends, and Ms. Cooper. The judge threatened to tell my boss about my juvie record unless I did what he told me.” He piled the onions in a bin. Bethany Schmidt arrived and escorted him to her SUV for a ride to the station. “You’re still looking for the Russian woman and two waiters?” Lizzie asked. “If the three victims wanted to silence Christina, there were much easier ways to do it,” Bethany said. Ho Ho Ho. Now that Santa’s officially rolled up to Macy’s, and the tree at Rockefeller Center’s been lit, it’s time to shop till you drop. Only twenty-eight more shopping days to Hanukkah, twenty-nine until Christmas, and thirty until Kwanza. Time's a-wasting. Easy, peasy. Or is it? Amazon gift cards are passé. The modern equivalent of sticking ten bucks in a card. The implication, I didn’t care enough to think about you. Take this and go think about yourself. Is your author struggling with writing fast enough? There’s several writing books I turn to for upping the pace. Rachel Aaron’s 2,000 to 10,000 will set you back a whopping $0.99. 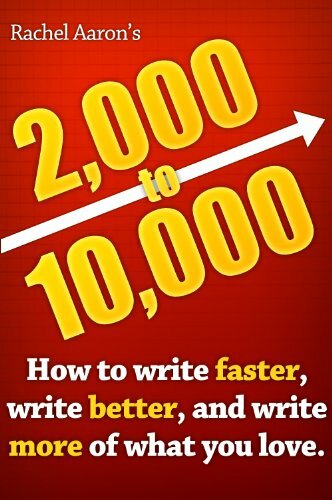 The tips increased my word count from 1,000 to 5,000. Not bad. The catch, Kindle only. But hey, who doesn’t have a Kindle or at least a free Kindle download these days? 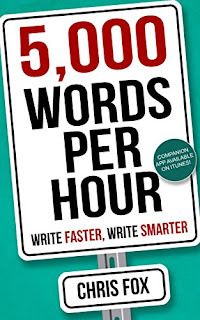 If you need something to wrap and put under the tree, Chris Fox’s 5,000 Words an Hour is for you. 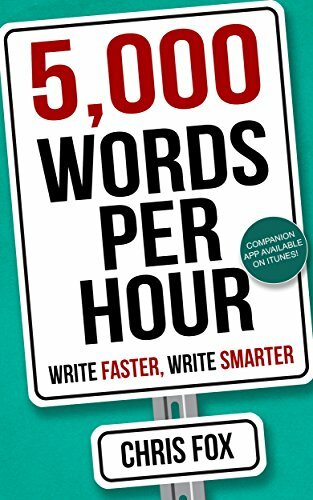 Best of all, there's a 5,000 words app you can download (free but with the ubiquitous premium upgrade) that your writer can use to time sprints and keep word count information. I have the app, but I’d be lying if I told you I’ve used it, so I’m unable to make a recommendation how helpful it is. Not feeling the love? 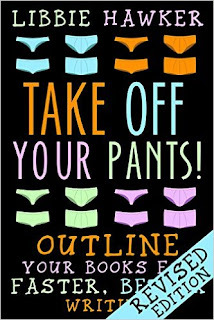 Is your writer moaning that she doesn’t know where the story is going next? Ah, I can help there too… I’m a pantser who wants desperately to be a plotter. I’ve sought books that will let me take plotting nuggets that will work for me and incorporate them into my pantser lifestyle. 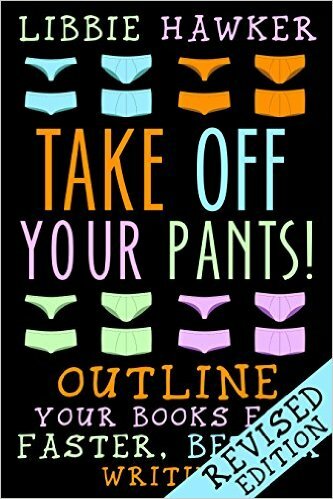 The best book I’ve found is Take Off Your Pants by Libby Hawker. Full disclosure time… I bought it for the title. Any title that funny gets my vote. Turned out the book is full of great advice and it assumes you’re going to cherry pick your own nuggets. Your author zips along, burning up the keyboard at a blazing zillion words an hour? No need for them to increase their productivity. OK, have them call me, I’m always looking for tips. Seriously though, a writing program could be just the ticket. My go to for novels and short stories is Scrivener. I’ve used a bunch of other programs, and this one works best for me. It lets me write in scenes and chapters, move them around easily when I have an “ah ha” moment for the twist, turning point, or last scene I absolutely don’t want to lose. It also lets me keep my characters, settings, research, notes, etc. in a sidebar for easy access, and my word count progress, daily word count, and the number of words in each chapter. It does a ton more stuff, but as with everything else, I cherry pick. Still not finding the perfect gift for the writer in your life? I hesitate to share these ideas. I call them writer crack. Pens and paper. Notepads and calendars. Yum. Bring it on! Although I use a Sharpie for signings, for good old longhand writing or breaking through writer’s block, there is nothing better than a flowing ink fountain pen. Vintage fountain pens are the best. Expensive, yes. Delightfully tactile, double yes. There are lots of pen places online. I’ve even bought from eBay, but my all-time favorite place to satisfy my need to smell the ink is Pendemonium. They have a great selection, offer repair service, and are geniuses at working around the problems that come with using and loving pens that have passed from production. Everyone who uses a fountain pen quickly learns you can’t use a fountain pen with today’s mass produced paper. The ink bleeds through. For fountain pen use, a heavyweight paper is required. Levenger is my first stop for note pads of all sizes. When it comes to notebooks. I leave Levenger and head directly for Classic Office Products. They carry Claire Fontaine notebooks in multiple colors and my favorite planning calendar ever, Minister from Quo Vadis. VistaPrint can provide a host of gifts for authors contemplating a blog tour, conference, or giveaway. They print T-shirts, book cover magnets, postcards, etc. with book covers or branding slogans. They also print return address labels featuring your book cover and pen names. My favorite. What about you? Are you a writer supply junkie? What’s your favorite? With my trip to New Zealand, I had not gone to a voice lesson for two months. It had been even longer since my last choir rehearsal. 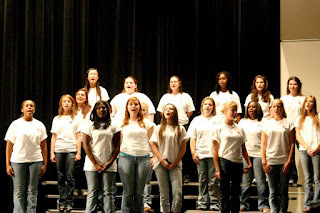 I had my first returning choir rehearsal last night and my first returning voice lesson that morning. I did not realize how much I missed them until they were back in my life. 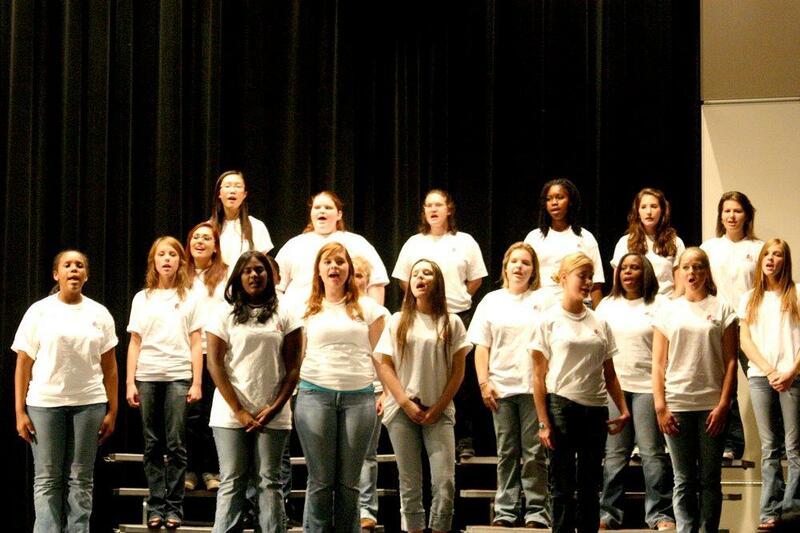 I acted like a rookie with the choir. I did not bring my music folder or that essential tool for singers everywhere — a pencil. It’s used to note where to take breaths, where to put emphasis, and where to use the pronunciation the director directs. Of the four songs practiced I’d heard one before. I was sight-reading almost all night. Still, I was pleased by my general performance. The choir has a new young director with a lot of energy, interesting ideas and high expectations. I really like the companionship with other singers. My first voice lesson reminded me why I like lessons so much. My teacher made suggestions that I implemented then and there. She always gets me singing better and better. I can hear the improvements as the lesson progresses. Sometimes I can end up singing better than I thought I could. There are moments of beauty and art, which lift me out of my day-to-day living. Like writing it gets better with practice and with feedback from a knowledgeable and trusted teacher. There are not many activities that allow you to experience marked improvement in a skill in such a brief period of time. I have been singing long enough that I can hear differences in my voice from recordings I made a while ago. The skills are additive. I noticed in choir how much my ability to sight-read has improved. I don’t know how good I can be eventually. That’s part of the attraction of the whole experience. At my age there are not a gigantic number of behaviors that continue to improve. Writing and singing are two. Writing better is a slower process, but then I’ve been doing it longer so improvements take more time. The amount of change is less too. What raises you out of the ordinary and gives you a sense of accomplishment? “They begane now to gather in the small harvest they had, and to fitte up their houses and dwellings against winter, being all well recovered in health & strength, and had all things in good plenty; for as some were thus imployed in affairs abroad, others were excersised in fishing, about codd & bass, & other fish, of which they tooke good store, of which every family had their portion.” From the journal of William Bradford. Their Thanksgiving feast included lobster pies, cooked eels, other kinds of fish, roasted ducks and turkeys as well as berries, nuts, and I’m sure lots of different corn dishes. Chief Massasoit arrived with ninety men bringing five large deer to cook over the open fires. The feast lasted three days with games, laughter, dancing and singing. I would never shop on Thanksgiving. 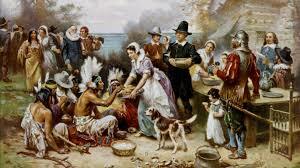 Today Thanksgiving in the USA is not only later in the year, but has changed in other ways, too. No longer is it a three day event. (I don’t consider the shopping frenzy of Black Friday part of Thanksgiving.) Nor do we have cooked eels or fish, and it doesn’t take place outside cooking over open fires. This was taken years ago when my brother at the end was still alive. Thanksgiving is my favorite holiday because it hasn’t been commercialized unless you consider Black Friday is now starting Thanksgiving evening in many stores. It’s a day to spend with family or friends with no gift giving. 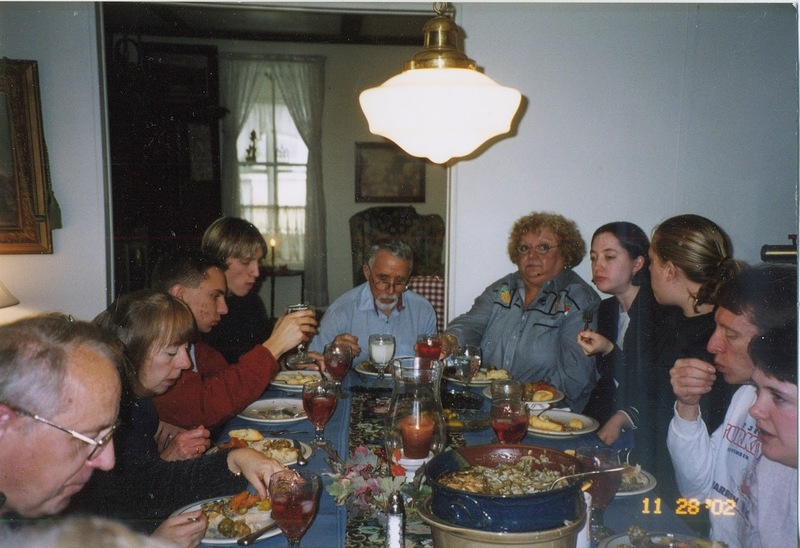 For quite a few years now, I’ve spent Thanksgiving at my sister, Elaine’s home. This gives my kids the freedom to go to their in-laws without worrying about poor old Ma being alone. 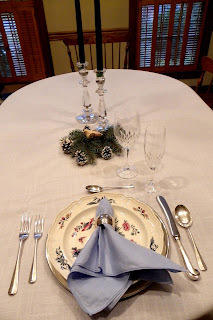 My youngest waits to come home from California for Christmas when it’s my turn to prepare a big meal for everyone. All three of my children call me Thanksgiving morning to wish me a Happy Thanksgiving and to talk for a while. My Thanksgiving afternoon and evening are spent with siblings and nieces and nephews. There’s quite a large group of us. 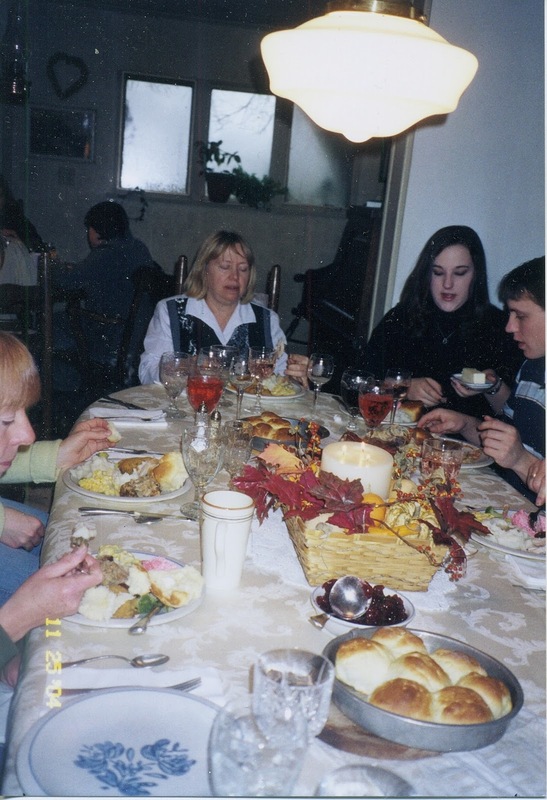 My sister loves to cook and prepares the turkey and what traditionally goes with it, and the rest of us bring side dishes or desserts. For some years, my contribution has been a tray of cut up veggies and dip. How easy can that be!?!? This year it will be two dozen rolls I’ll buy at Sparkle Market which has an in store bakery. Even without our contributions, what Elaine prepares alone, with the help of any daughters and her son who made it home, would be enough to satisfy anyone’s taste and more than enough for seconds. 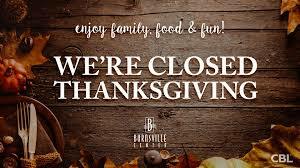 Every year I look forward to the traditional food; the turkey, stuffing, mashed potatoes, gravy, candied sweet potatoes, and cranberry sauce. In addition to the pumpkin pie, one of my sisters makes, my youngest brother, Phil, the marathon runner, will bring several fruit pies he’s made. He is an awesome cook. Just as enjoyable as the food, and probably even more so is the camaraderie, laughter and the wild conversations. It’s very hard to get a word in with my very articulate and vocal family. After dinner dishes are cleared off, we sit around in a stupor for a while until a rollicking game of cards, Pounce, starts in the kitchen. My eyes can no longer follow the flying cards so I relax in the living room with a few others who pass on the cards. I leave for home after we all eat again; turkey sandwiches, pie or another dessert someone brought. 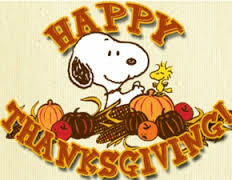 This Thanksgiving I have much to be thankful for; my family and friends, my health, my home, and my critters. I could fill pages and pages of things I’m thankful for. I’m a truly lucky person. 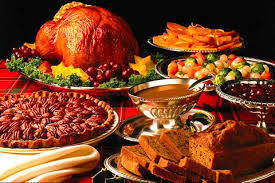 What is your favorite food at Thanksgiving? Mysteries that include humor are among my favorites. 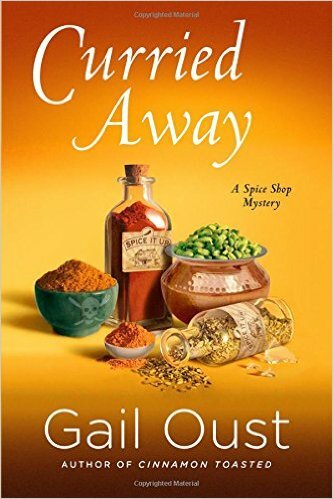 So it was a pleasure to discover Gail Oust’s Spice Shop Mystery series. Her books were just what I needed to spice up some recent glum days. I learned that Gail has another humorous series, the Bunco Babes/Kate McCall series. With a stack of her funny books at hand, the upcoming winter months might not be so dreary. To show that I’m not exaggerating Gail’s humor, Adam Wagner of CriminalElement.com recently selected Gail's latest book, Curried Away, for a visual guide using GIF (Graphics Interchange Format) notes. It gives the basic plot summary with amusing graphics. Adam captured the humor of this book perfectly. Take a look. 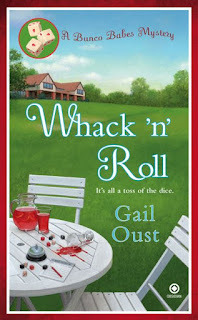 Welcome, Gail, to Writers Who Kill. 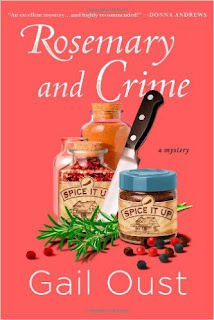 Murder is always a serious subject, but Piper Prescott’s comments and observations in your Spice Shop Mystery series made me laugh out loud. Do you purposely include humor, or does it just creep into your writing? Do you have any techniques for injecting humor? Humor sort of creeps into my writing although I try to keep alert for instances/scenes where humor could be ramped up. I happen to have a quirky sense of humor so this helps. Some of the humor in my books comes from the character's personalities--their view of the world--and sometimes from the situations where Piper and Reba Mae, her BFF, find themselves totally out of their element. I liken it to Lucy and Ethel but with higher stakes. Two of my favorite humorists are Ellen DeGeneres and Dave Berry, who find the funny side in everyday occurrences. Though hardly in the same category, I try to do the same. Piper faces the problem of having her ex-husband, his cute young thing (who broke up her marriage), and his mother continually popping up in her life. How does she keep her cool? Piper is far from perfect. When we first meet her in Rosemary and Crime, Piper is struggling to come to terms with her new role of divorcee. Her ex-husband, CJ, has a new girlfriend, a former beauty queen, who Piper nicknames Miss Peach Pit. As for her hypercritical former mother-in-law, Melly, Piper practices forbearance. Piper's ultimate goal is to move forward and focus on her teenage daughter and making her spice shop a success. Eventually, she overcomes her bitterness and opens herself to new experiences. Like I said, Piper isn't perfect and often defaults to sarcasm especially when dealing with CJ. As a transplanted Yankee, you’ve been able to capture the essence of a small Georgia town. (“Sweet tea always makes us Southern girls feel better.”) Do you and transplanted Piper sometimes feel like a duck out of water? Though originally from Michigan, I love living in the South. As the saying goes, “I wasn't born here, but I got here as soon as I could.” I happen to live in a community of transplanted Yankees who feel the same way, but when surrounded by born and bred Southerners, I sit back and enjoy the many, subtle differences. You describe some really interesting spices and the dishes they can be used in. Did you know a lot about spices before you began your series, or was this a new area for you? I confess before starting the Spice Shop Mysteries, my knowledge of spices was pretty basic. Writing the series has compelled me to research spices I've used for years and others that I knew very little about. I'm constantly learning new and fascinating tidbits about the spices I've always taken for granted. For example, I used to think allspice was a blend of various spices instead of a separate entity. It's actually a berry grown in tropical climates on—surprise!—an allspice tree. Do you cook with a lot of spices? Has writing about spices motivated you to become more adventurous in your cooking? I'll answer the last question first. Yes, I've definitely become more adventurous in my use of spices. I've become a firm believer that spices greatly enhance the flavor of even everyday dishes. I'm also aware that spices need to be replaced at recommended intervals and not kept on pantry shelves for an eternity. I love reading cookbooks and am always on the prowl for new recipes. The first thing I do when I pick up a book that features food is to flip to the back to view the recipes. The first book in your Spice Shop Mystery series, Rosemary and Crime, didn’t include any. Curried Away included a recipe for curry and some baked goods. Do you plan to feature more recipes in future books? Is it hard selecting the recipes to include? What’s involved? Ignorance is my only excuse for not including recipes in Rosemary and Crime. I was new to culinary mysteries and didn't realize recipes were an integral part, so I simply didn't include them. I believe the omission was corrected in the mass market edition. I've since learned my lesson and now include recipes in every book starting with Kill 'Em With Cayenne. 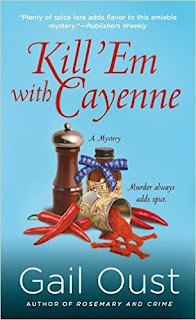 As a matter of pride, my recipe for chicken tetrazzini, which appears in Kill 'Em With Cayenne, was accepted for the anthology, Cozy Food: 128 Cozy Writers Share Their Favorite Recipes. I tend to choose recipes that Piper refers to in the book or those that use the particular spice mentioned in the title. In the aftermath of taste testing a new recipe, my kitchen often resembles a chemistry lab after an experiment goes awry. Piper’s best friend Reba Mae muses about writing mysteries: “I just might try my hand at crime writin’. Make myself a pile of money while I’m at it. 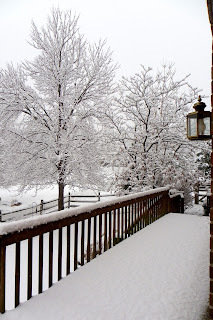 How hard can it be?” What advice would you give anyone interested in writing a mystery? Though not original but effective, the first bit of advice that pops into mind is to study the genre. Read a lot, and then put the books aside and start plotting. Keep in mind the plot will probably be revised throughout the process as the characters and their motives reveal themselves more fully. “How hard can it be?” Reba Mae asked. Harder than you'd expect would be my answer. Know that up front and be prepared, but don't let that stop you. The end results are worth the effort. Please tell us about your Bunco Babes/Kate McCall mystery series. Will we be seeing more books in that series? The Bunco Babes Mysteries burst from seemingly nowhere. While playing golf with friends—none of us very good at the game—a ball landed in the rough. Someone complained about the smell emanating from the weeds, and another offhandedly remarked, "Maybe it's a dead body." The germ of an idea was planted and grew into a three-book series. All the women in the Bunco group of which I'm a member are convinced they're one of the characters. 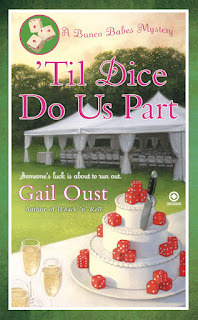 The jury is still out about more of the Bunco Babes/Kate McCall Mysteries. I really loved writing the series, and the Babes became more than characters in a book; they were more like friends. If I decide to continue, the series will be the Kate McCall Mysteries in digital format only. Now that you’ve written several books in each series, do you find it easier or harder to start the next book in the series? Beginnings, at least for me, seem to be either easy or hard. It's sometimes difficult to find just the right spot to jump off the cliff. I have to admit there have been times when I've had to go back and try again to 'hit the ground running' as a friend once advised. Writing a series poses its own unique problem of how much backstory to include. You don't want new readers to feel like a duck out of water in an unfamiliar town surrounded by strangers, but on the other hand, you don't want to be redundant and bore readers with details they already know from previous books. It's a slippery slope trying to balance the two. What’s next for Piper Prescott and the folks in Brandywine Creek? I just handed in Ginger Snapped to my new editor and am anxiously awaiting her comments. It's tentatively scheduled for December 2017. In Ginger Snapped, I had fun turning the tables on Wyatt McBride, Brandywine Creek's hunky chief of police. You started your career as a registered nurse. What prompted the switch to writing for a living? I never switched careers from nursing to writing, but juggled the two as best I could. It was a matter of practicality. 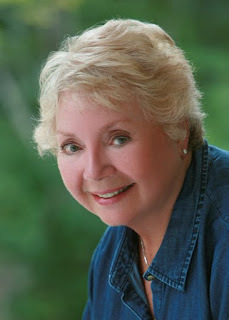 My historical romances (under the name Elizabeth Turner) were written while I worked full-time. I'm officially retired now, but friends tell me I 'flunked' retirement. Your books have been produced in hardcover, mass market paperback, digital, and large print. Any plans to produce an audiobook version? I'm happy to report three of my Spice Shop Mysteries are available in audio. Feel free to check them out at audible.com. Tell us a bit about your writing process. Do you write with music in the background or need quiet? Is your work area messy or tidy? As much as I'd like to change my body clock, I'm not an early bird but more of a middle-of-the-day type of person. Unless a deadline is closing in on me, I usually write at least six hours each day, starting around 11 o'clock in the morning and finishing around 5:30ish. I even pack a lunch to take with me downstairs to my office. I often work on Saturdays and at least a couple hours on Sunday. I always have New Age music playing in the background as it helps block out distractions. Messy or tidy? Definitely messy. Standing in a bookstore, what book couldn’t you resist recommending to a nearby stranger? Knowing everyone has certain likes and dislikes in their choice of reading material, I preface my recommendation by saying, "If you like mysteries . . ." As we all know, bookstores are becoming few and far between. The last book I recall recommending while perusing selections at Costco was Redemption Road by John Hart, an Edgar award-winning author. I'd been impatiently waiting for his next book to appear and was excited to find a signed edition at my fingertips. Thank you, Gail, for joining us at Writers Who Kill. If you’ve not yet discovered Gail’s Spice Shop Series, the first in the series is Rosemary and Spice. Below is a brief description. Piper Prescott, a transplanted Yankee living in the South, has got her sass back. She might be down, but don't count her out. "Change of life?" she asks. Bring it on. Recently divorced, Piper decides to pursue a dream she's secretly harbored: owning her own business, Spice it Up!, a spice shop in her adopted hometown, Brandywine Creek, Georgia. But Piper's grand opening goes awry when the local chef who's agreed to do a cooking demo is found stabbed. Not only did Piper find the body, she handled the murder weapon and doesn't have a witness to her alibi, making the case look like a slam dunk to brand new police Chief Wyatt McBride. Desperate to uncover the truth—and prove her innocence—Piper enlists the help of her outspoken BFF Reba Mae Johnson to help track down the real culprit. The pair compiles a lengthy list of suspects and work to eliminate them using their own creative brand of sleuthing techniques including stakeouts, breaking and entering, and one very unorthodox chocolate pie. When Piper narrowly avoids being a victim of a hit-and-run, she knows she's getting closer to the truth, but can she catch the killer and clear her name before she becomes the next victim? 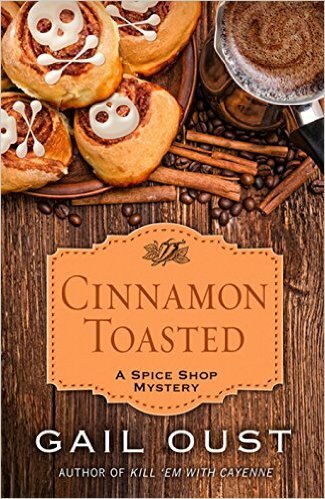 The latest book in Gail’s Spice Shop series, Ginger Snapped, will be released in December 2017. Gail kindly provided a brief description of what we can look forward to. Beauty, brains, and money. Outwardly, Shirley Randolph, Realtor of the Year, has it all—except a man. Residents of Brandywine Creek, Georgia, are convinced she’s set her sights on Chief of Police, Wyatt McBride. But sharing a plate of chili cheese fries doesn’t ‘constitute a relationship. However, when Shirley’s body is found floating in his fishing hole, townspeople speculate McBride was responsible. Suicide or homicide is the question on everyone’s lips. Preliminary findings exclude drowning and suggest a more electrifying cause of death. 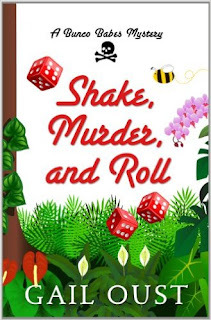 The tables are turned, and the handsome lawman soon experiences firsthand what it’s like to become a ‘person of interest.’ Piper enlists the aid of Reba Mae Johnson, her BFF, along with McBride to help solve the puzzle and find Shirley’s killer. While the evidence against McBride mounts, Piper resorts to drastic measures to prevent a grave miscarriage of justice.